Skunk2’s Fine Tuning products and accessories, like its Silicone Radiator Hoses for your car, help put the finishing touches onto your vehicle you work so hard to make perform well. 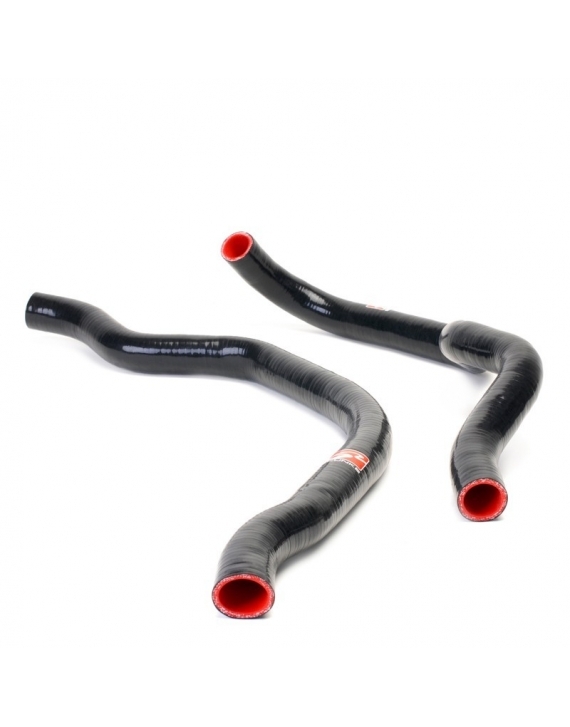 Liven up your engine bay and give yourself some peace of mind while you’re at it with one of Skunk2’s Silicone Radiator Hose Kits. Unlike OEM rubber cooling hoses that must be periodically replaced because of deterioration caused by heat and pressure, Skunk2 silicone hoses will outlast the life of your engine. And with their glossy black finish, red interior, and Skunk2 logo, they’ll look good while doing it. one pcs. 25MM ID ×36MM OD × 26"
one pcs. 25MM ID × 36MM OD × 10.5"